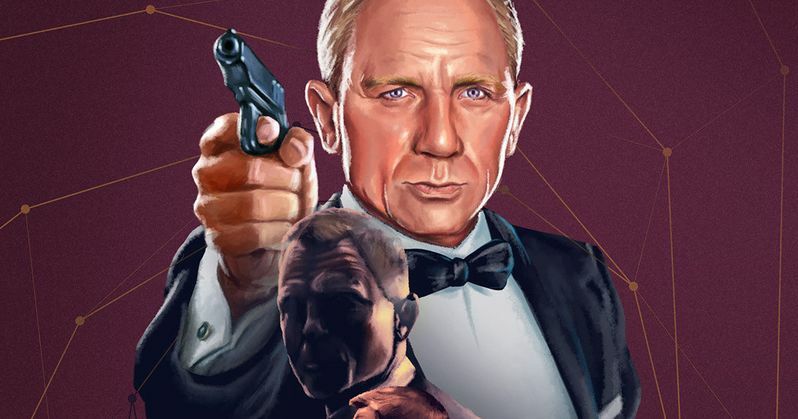 It looks like we may have our first solid details in regards to the villains of James Bond 25. The rumor that's been floating around is that 007 will be squaring off against a female villain this time around. But things are never so simple in a James Bond movie, are they? As such, a new casting call reveals that, while one of the villains in the movie is probably going to be a female, there are going to be a total of three baddies that the legendary spy is going to have to contend with. This casting call was revealed by the fan site MI6 HQ. They were the first to showcase the casting call that revealed Dave Bautista's henchmen for Spectre, Mr. Hinx, so they have a proven track record. That said, since this isn't coming from an official studio source or someone related to the production, it shouldn't be taken as absolute fact until we get an official casting announcement. That said, the casting call reads as follows. Male Leading Role: Playing age is 30's - 60's. Russian. (Also open to suggestions of actors from the Balkans or similar.) Must speak fluent English. Characteristics are Charismatic, Powerful, Innovative, Cosmopolitan, Bright, Cold and Vindictive.
. Russian. (Also open to suggestions of actresses from the Balkans or similar.) Must speak fluent English. Characteristics are Intelligent, brave, fierce and charming. She's witty and skillful. A survivor. Advanced physical / fighting / stage combat skills required. Characteristics are Authoritative, cunning, ruthless & loyal. If you're familiar with the franchise at all, it seems likely that the male lead and the female lead will be working together as the main villains, with the male supporting role taking up henchmen duties. That's mostly speculative, but these movies definitely follow a formula. Bond hasn't gone up against a female villain since The World is Not Enough in 1999. It's been nearly two decades and that could make for a very interesting change of pace. Production on James Bond 25 is expected to begin in December under the direction of Danny Boyle (Slumdog Millionaire). He came on board somewhat late in the process and pitched his own story to the producers. They liked it enough to allow screenwriter John Hodge, who has collaborated with Boyle previously on Trainspotting, to write up the new script. That most likely means that the previous script, or at least most of it, written by franchise regulars Neal Purvis and Robert Wade, was thrown out. This is set to be Daniel Craig's fifth and final go as 007. Spected did well at the box office, but was considered a step down by most critics and fans from Skyfall. Since this is his last go, Craig is surely going to try and go out on top. James Bond 25 is set to arrive in theaters on November 8, 2019. This news comes to us courtesy of MI6 HQ.